When it was announced that Kanye West would attend the 2016 MTV Video Music Awards, everyone knew we were in for something big. However, I don't think anyone expected him to use his few minutes on stage to premiere a brand new music video, so of course that's exactly what he did on Sunday night. Kanye West's music video for "Fade," a beat-driven song from The Life of Pablo, debuted at the VMAs, but Kanye himself is never seen in the music video. So who is the guy in the "Fade" video, and who's the woman, for that matter? Kanye enlisted another Hollywood couple for this surprise. The beginning of "Fade" reveals that the woman who appears in the video is Teyana Taylor, a singer on Kanye's label, G.O.O.D. Music. Most of the video just consists of Taylor dancing in what looks like an empty gym, but at the end, she is suddenly in the shower with a man. That man would be her real-life fiancé, NBA player Iman Shumpert. Though Shumpert is a shooting guard on the Cleveland Cavaliers, that's not the most impressive thing about him. Last December, Shumpert helped to deliver his daughter, when Taylor suddenly went into labor in their home. As Taylor shared in the Instagram post below, she didn't realize she was in labor until she felt her daughter's head, and while on the phone with paramedics, Shumpert actually caught the baby and used the cord of his headphones to tie off the umbilical cord. 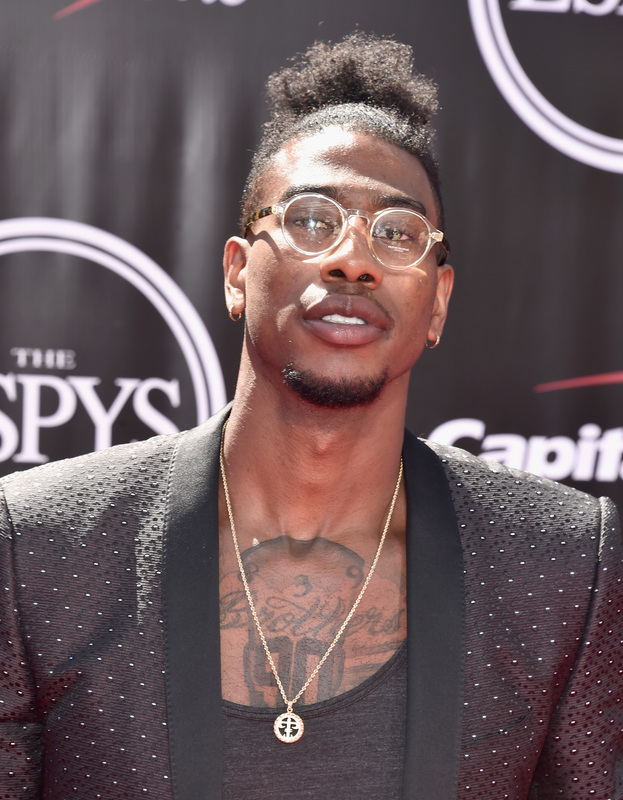 So Shumpert can play basketball, deliver babies, and now, star in music videos. If you want to see Taylor and Shumpert in action, the "Fade" video is currently available on Tidal for subscribers.